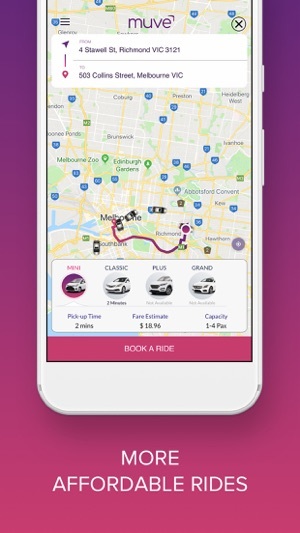 Technology Network Australia Pty Ltd.
Ridesharing made easy - that’s Muve. 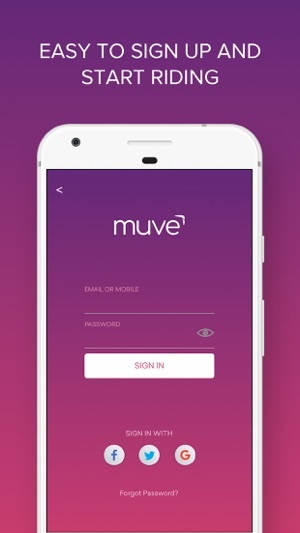 Why spend all that money and waste all that time waiting for a taxi when you can ride with Muve? Save money with cheaper fares. Get a ride quicker with fast response times. 10% of our share of the ride to your favourite cause. Book your ride by the Muve app. Ride with Muve and experience a truly smarter, cheaper & fairer way to go places. Happy riding! We have optimized our fare structures with this latest update. 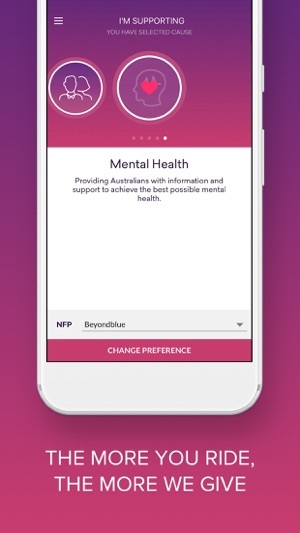 Muve app is updated regularly to enhance the performance and usability. Here are a few more exciting developments. Happy Muving !! Pretty good I suppose, but there’s an issue with the car tracking which makes it jump all around you city so you don’t know where you driver is or where you are once your in the ride. If this could be fixed that would make the user interface a lot smoother. Thank you for your feedback. This issue has been rectified along with the recent app release. Keep in touch. Very difficult to find a driver. If you manage to connect with one they will likely be a long way away and then most likely they will cancel on you. So far I haven’t been able to have a single successful booking/ride without some issue.